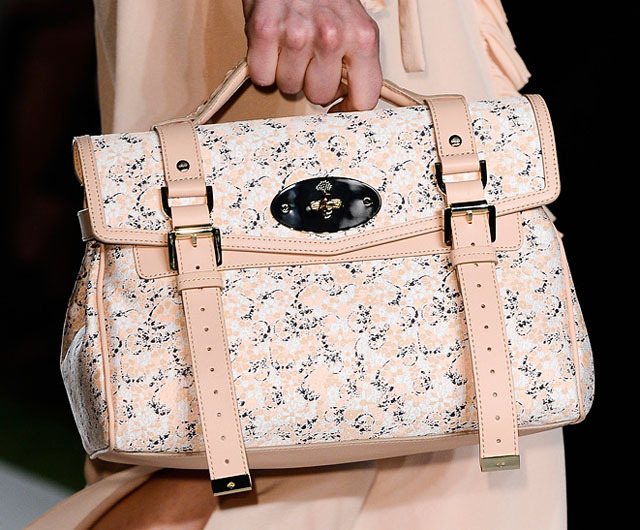 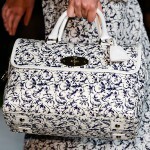 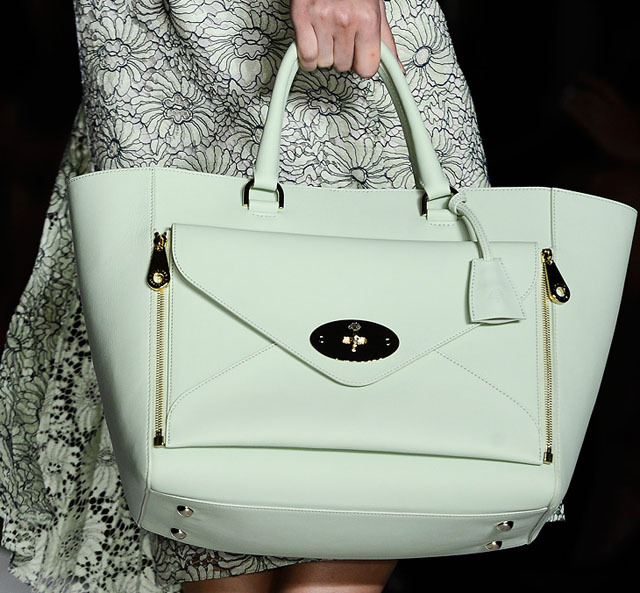 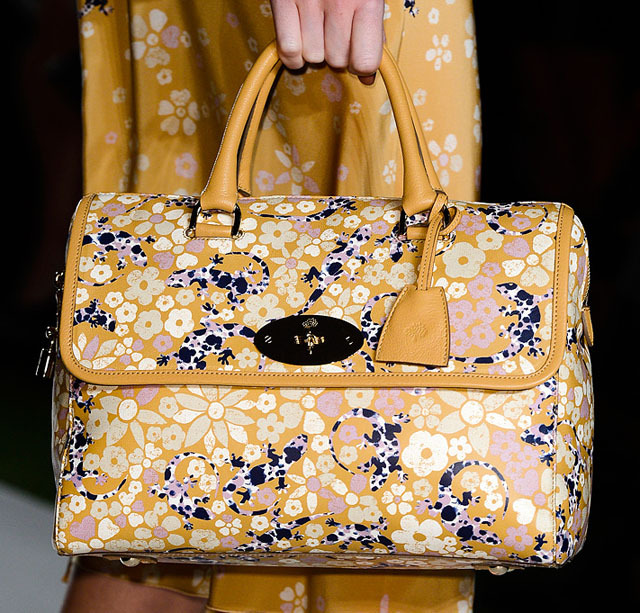 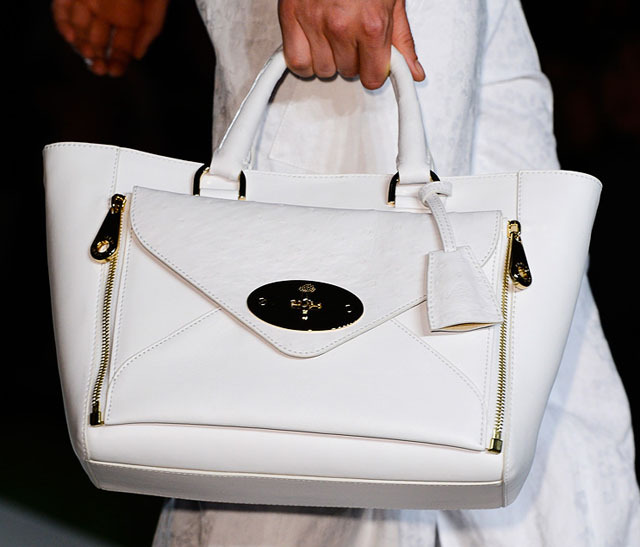 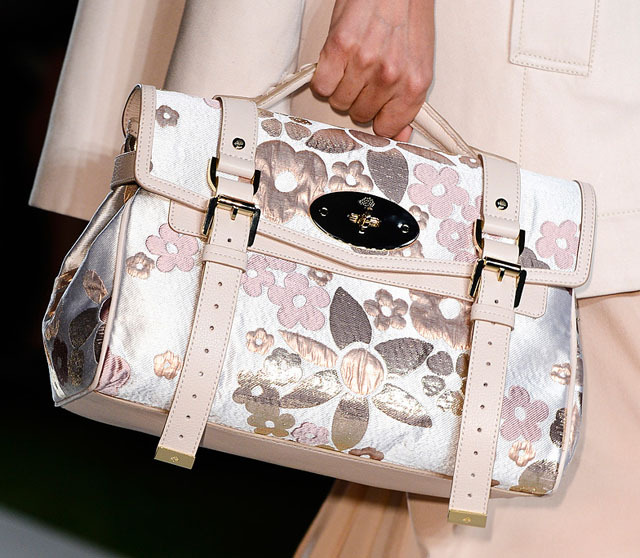 I want to present you the Mulberry spring 2013 handbags collection and especially the Mulberry Willow Tote that I consider to be the must-have of the coming season. 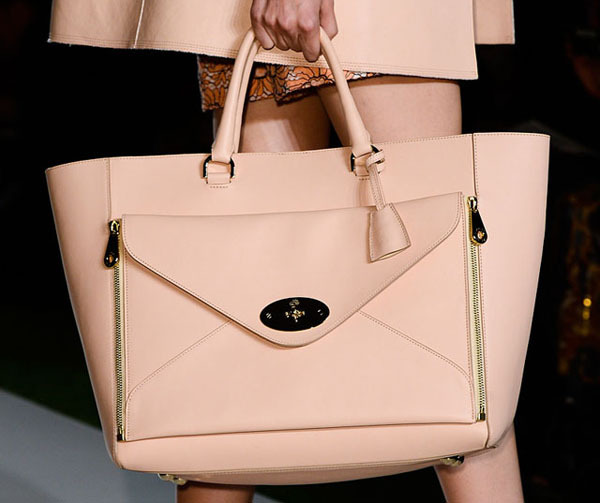 This Mulberry Willow Tote is a new step to the brand’s sophistication, which will be probably called-for by the brand’s devotees. 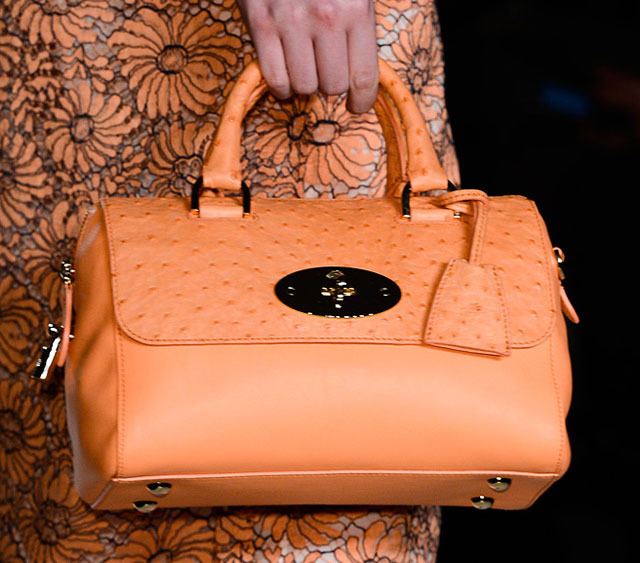 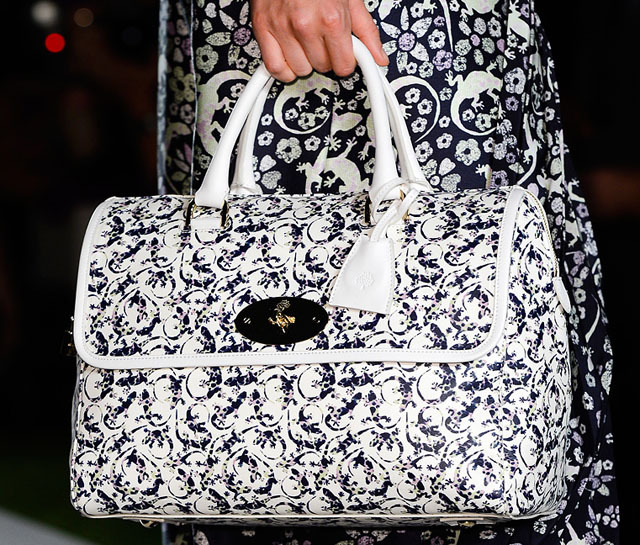 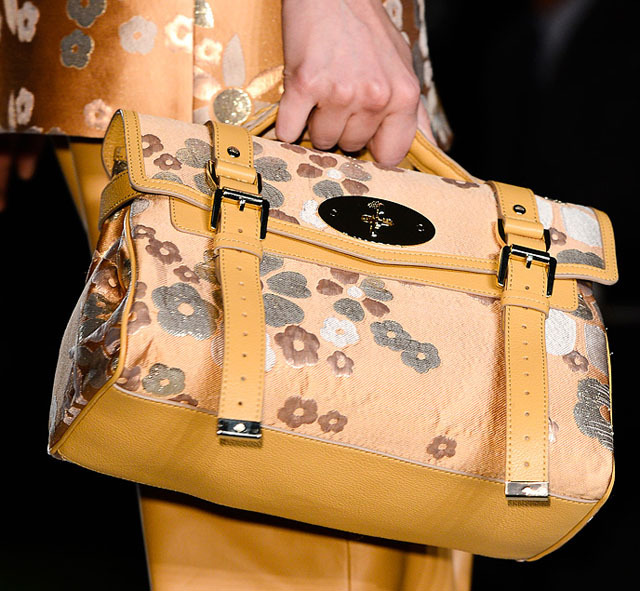 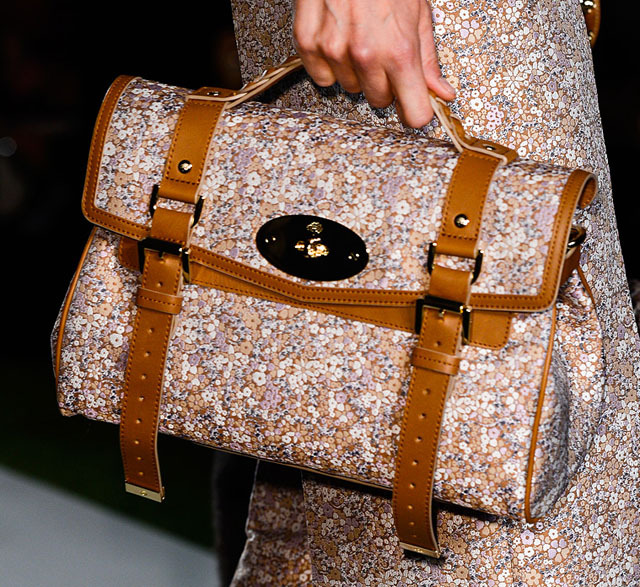 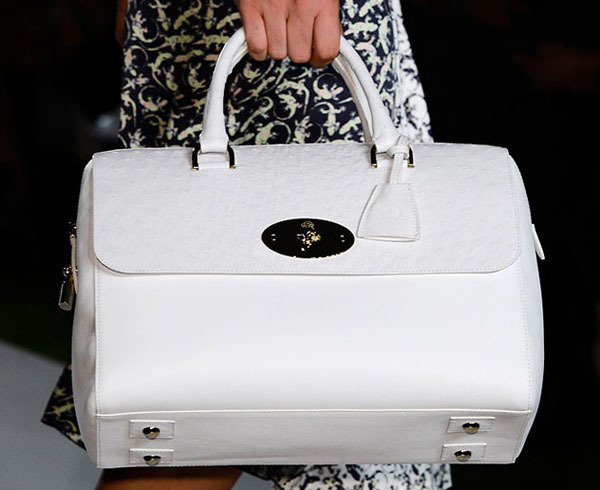 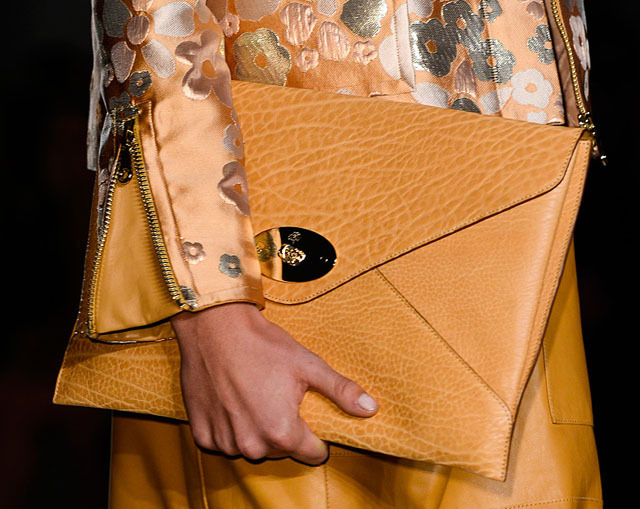 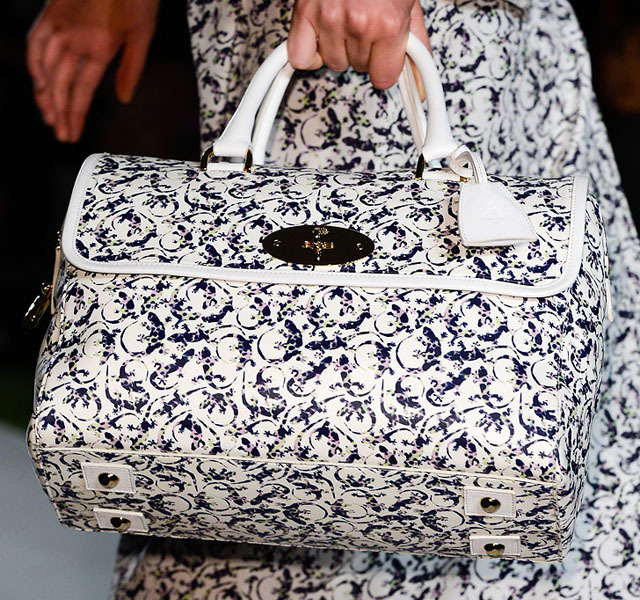 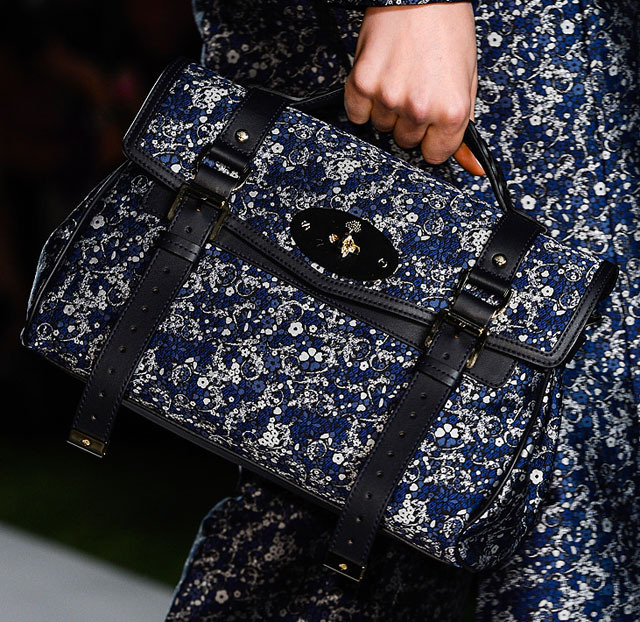 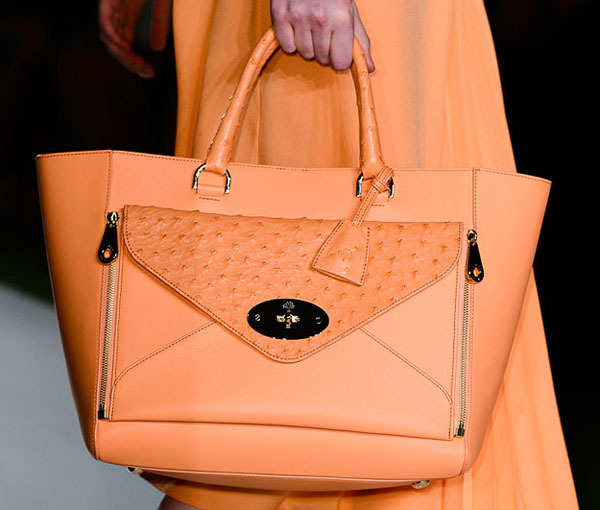 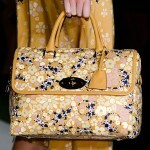 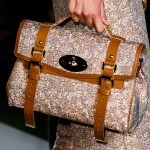 Despite the presence of Mulberry signature elements, they come in the more elegant and stylish way. 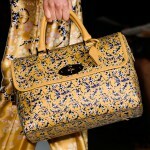 This Willow bag is available in tote and clutch style with the vintage vibe. 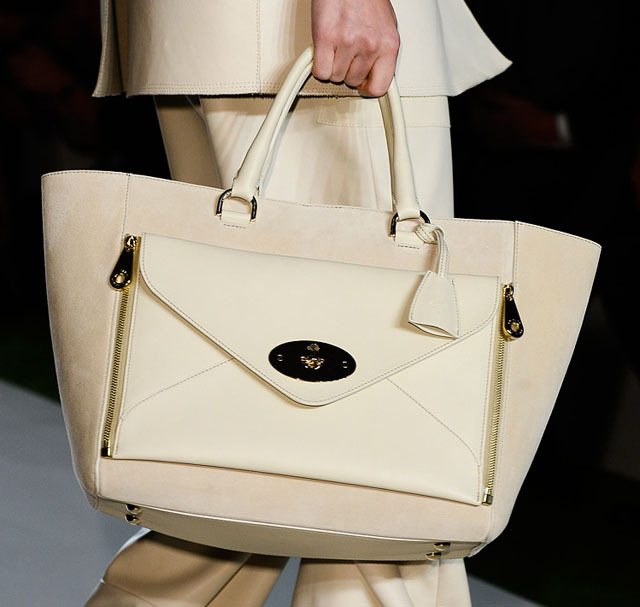 It reminds me of a doctor old-fashioned bag with less edgy studs and pockets. 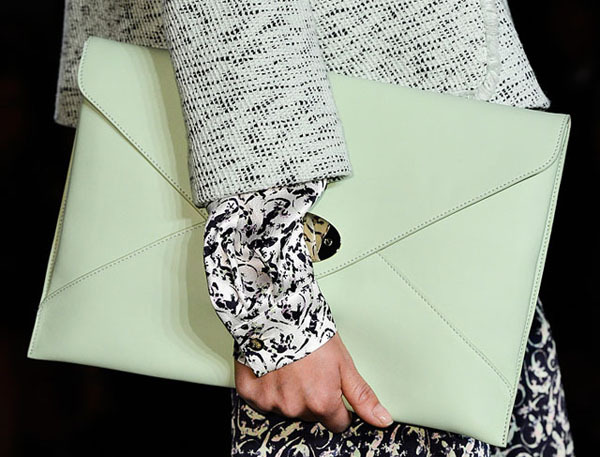 The interesting detail- a bag has a front panel that could be used as an iPad case. 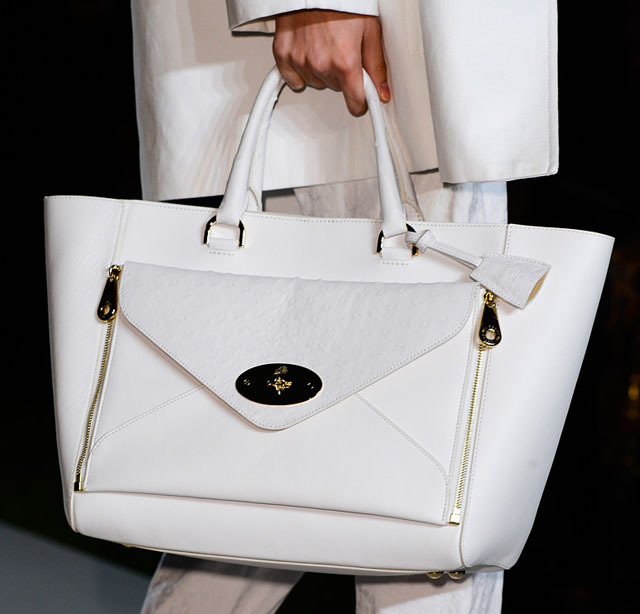 As for the materials used in producing these totes, designers opted for the soft sleek napa leather that makes it look chic and elegant. 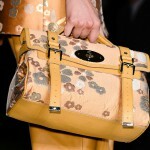 The same leather is also utilized in coats, skirts and dresses. 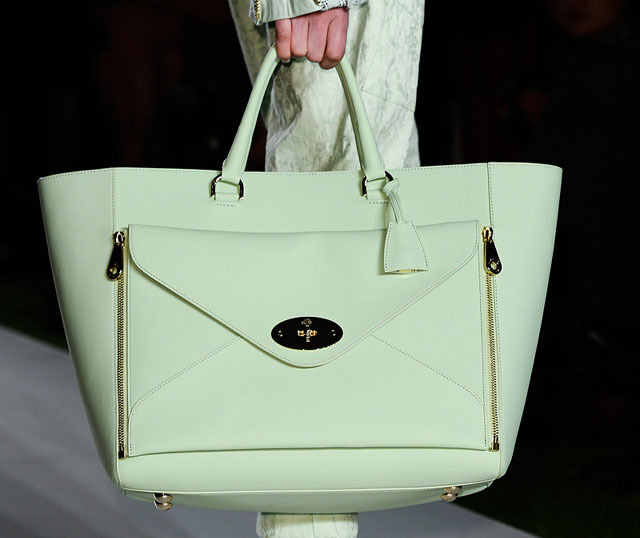 Willow tote comes in the following colors: “Pear Sorbet”, “Berry Cream”, “Light Peach” and “Mint”. 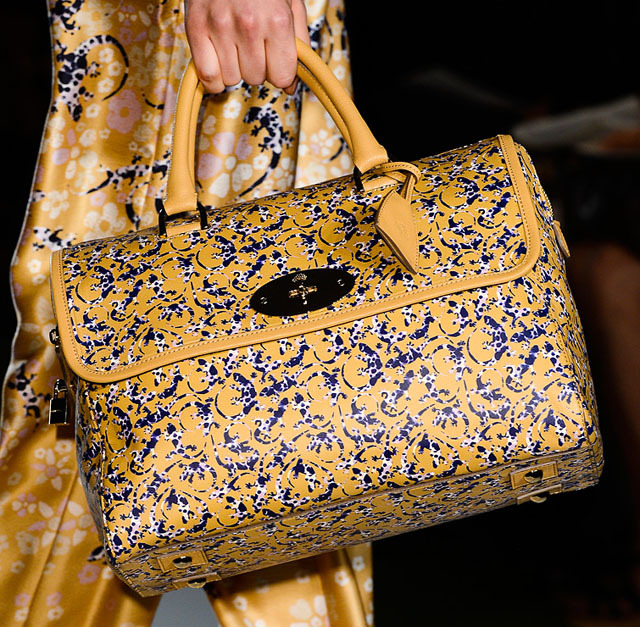 But the Willow Tote was not the only spotlight of the collection: Del Rey Bag went through the upgrade and got the chic jacquard patterns that add the soft texture to the bag. 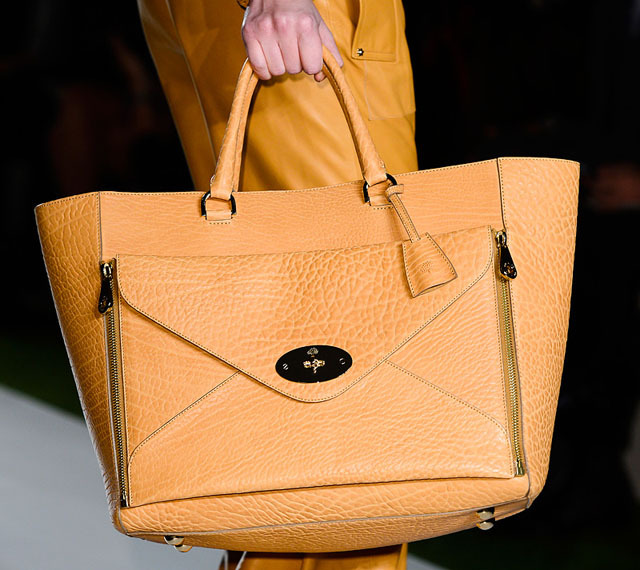 Kate Moss is the one who tried on the Mulberry Willow Tote first after the front-row guests at the Mulberry spring 2013 show. 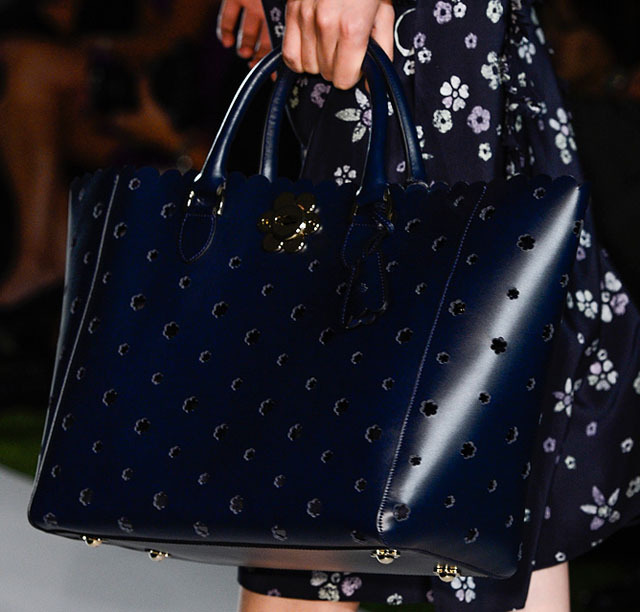 Kate purchased the tote a day after it debuted in London.